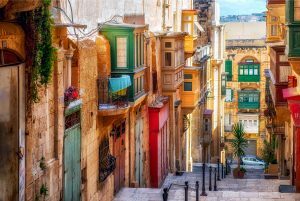 Living in Valletta - What's it like to live in Malta's Capital? Valletta is more than just a Mediterranean capital city. 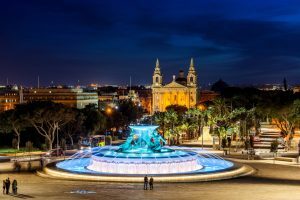 The principal city of the stunning island of Malta is a UNESCO World Heritage Site and even knowing the status doesn’t stop visitors from being charmed by the surprises around every corner. The city attracts thousands of visitors every year but what about the residents who call it home? What is living in Valletta like? Valletta is beautiful. It is packed with history and culture. It is architecturally impressive and moving into a property to call home is a true adventure where modern living mixes with historic beauty. There are obvious advantages of living in Valletta. The city is centrally located which means there is good access to the rest of the island. 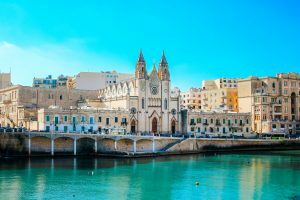 There is a centralised bus service that spans out from Valletta to all corners of the island and there are also taxi services that operate within the city and to other areas of the island, certainly to the main towns. Being a holiday destination, there are also plenty of car rental companies. 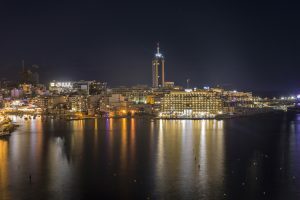 As the capital, Valletta is home to all the offices of state of Malta and it has headquarters of banks and large companies, both domestic and international. 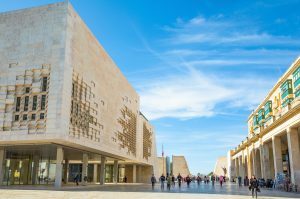 In terms of public services, the city is home to the country’s law courts, the Maltese Parliament, the National Library of Malta and various important museums, including the National War Museum which chronicles the fascinating story of the island in World War II, for which the entire island was awarded the George Cross. 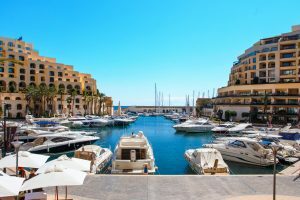 Valletta’s residents can also enjoy beautiful public gardens and the stunning natural harbour, known for its brightly coloured fishing boats. For shopping, the two main streets, Republic Street and Merchants Street offer plenty of well-known brand-named stores and also the daily morning market, but the city is also blessed with a multitude of small family run shops. Being a UNESCO World Heritage Site, the architecture of Valletta is historically significant, and the city’s residents maintain and upkeep their properties accordingly. 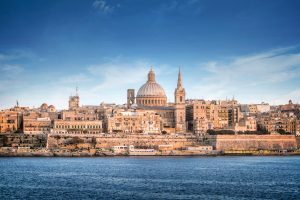 If you choose to own a property in Valletta, the same onus to maintain the city’s residential legacy will fall on you. 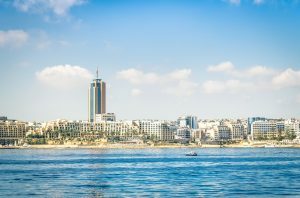 The real estate market in Valletta is fluid and there are plenty of empty properties available for sale or to rent. Owners are also renovating properties and then moving on, meaning recently renewed and refurbished properties are available and highly desirable. Some of the most attractive properties are apartments on the upper floors in the upper area of the city. These afford outstanding views across the Grand Harbour. 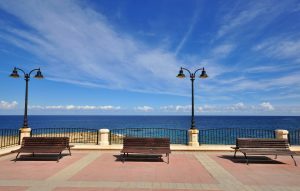 Each area of Valletta has its own particular characteristics, among them the types of property. In the grid-like streets in the lower part of the city, there are small palazzos (usually a house built around a central courtyard divided into several apartments) and townhouses. The properties in the lower city include many that are ripe for renewal and renovation. Throughout the city, there are stunning properties that have been transformed by professional interior designers and architects in sympathy with the surroundings. Valletta suffered greatly in World War II, with many buildings damaged or destroyed by bombs. Some buildings remain from the origin of the city, from the time of the Knights of St. John, and post-war construction takes the overall homogenous look into account. This applies to the current major renovation project that is on-going, under the guidance of renowned Italian architect Renzo Piano. 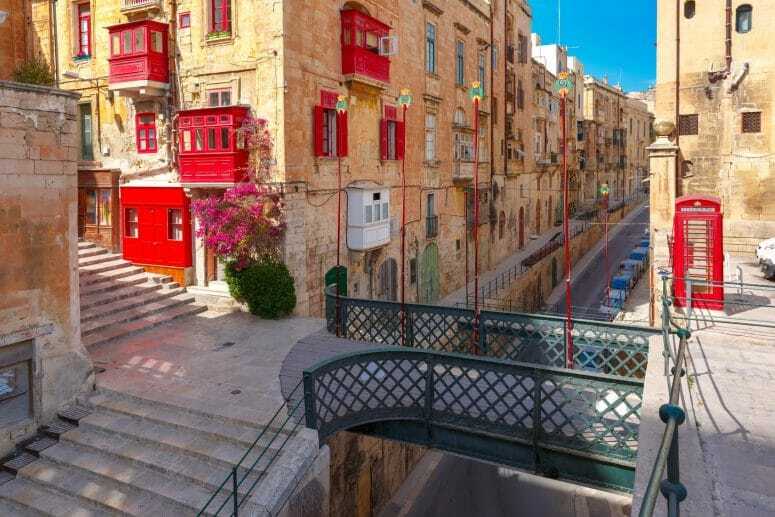 For prospective new residents who are looking to live in Valletta, it’s important to note that the project is producing more pedestrianised streets and more resident-designated parking spaces. Although, some would say that with the bus service, there is no need to actually own a car when you are living Valletta.